Ross Wylie is another talented sportsman from Dumfries and Galloway. Following in the successful footsteps of racing drivers Allan McNish and David Coulthard, there must be something conducive to developing talents for racing cars in the south of Scotland. 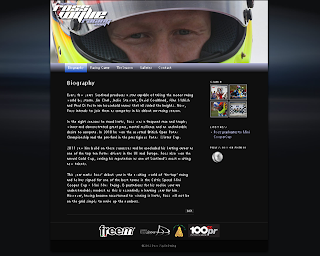 The new Ross Wylie Racing website is to mark the start of Ross racing Mini's in the 2012 season. This is a progression from his successful kart racing years in the UK and Europe and he has had to work hard to show that being slightly older than his peers is not going to be a barrier to success.